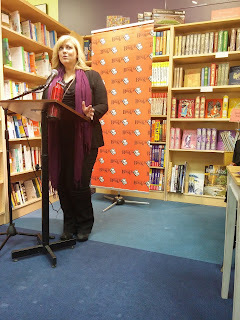 On Friday, I made the trip to Porter Square Books for Brenda Drake’s Book signing of THIEF OF LIES! It was a cold night and it started snowing, but there was still a decent turn out of people. 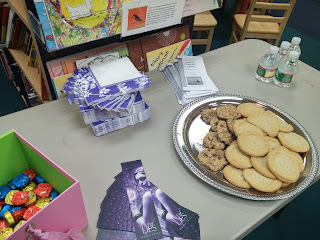 Also, Brenda brought cookies and Dove chocolates! Yum! Brenda was amazing, answering so many questions and talking about all the pitch contests she’s done through the years, how she started the pitch events that she’s been doing for 6 years! And her inspiration for PitchWars (Cupcake Wars!) If you don’t know about her, then I urgently suggest checking out her site, and her books! 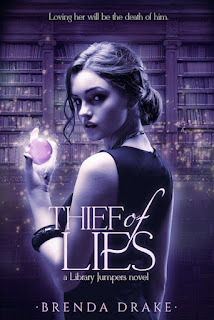 What inspired you to write Thief of Lies? A coffee table book she saw at the library. Four of the libraries that are in the book appear in her book, plus more book two. How did you get the idea for PitchWars? Apparently, during the pitch contests, agents kept saying that the first page and query were amazing, but midway through, the manuscript would fall apart halfway through. The inspiration for PitchWars came from watching cupcake wars, and how a mentor would come in and help the bakers. What is your favorite scene and least favorite to write? Fighting scenes for both! They’re the most fun, but also the hardest to get right. How do you keep the two series you’re writing separate? Is it hard to write two different series at the same time? Yes! She has to go back and read the previous chapter or part she was working on to get back into the world and characters. Favorite characteristic in her character? Her main character is fiercely loyal to her friends and family. Brenda’s family had shown up for the signing, and asked how she writes her male lead characters. She said she has sons and gets inspiration from them—except for the romantic bits of course! Haha They also asked if she got inspiration for those parts from her past, in which Brenda said that she was quite the trouble maker in high school! 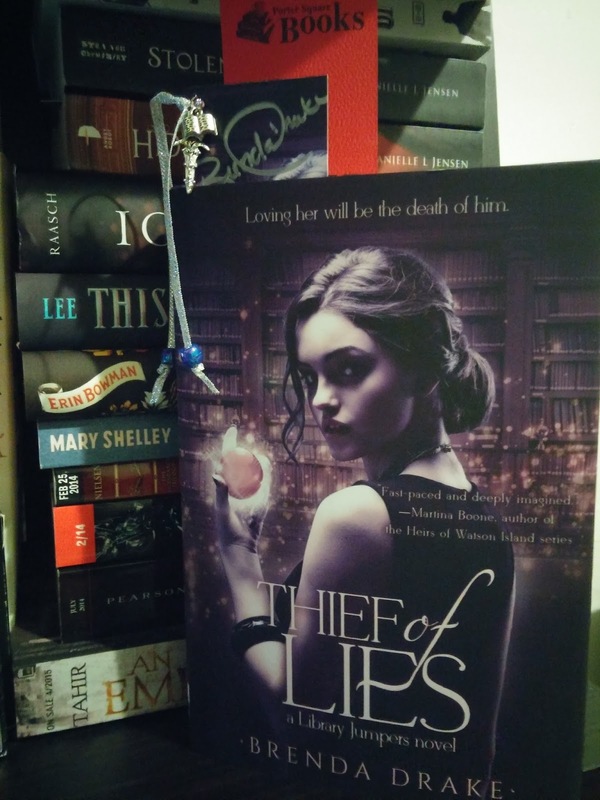 During the signing, Brenda was so nice, and she gave out some really pretty and cool bookmarks with charms on them! So pretty!